The Reel Place and Warner Bros. are excited to be giving away passes to an advance screening of Steven Soderbergh’s new biological thriller Contagion taking place on Tuesday, September 6 at 7PM in Salt Lake City. Click here to get passes. The link will take you over to advance ticketing site Gofobo. If you are not registered, you will need to do so. Registration is absolutely free and comes with the added bonus of receiving invites to other advance screenings in the future. But remember that having a printed pass does not ensure admittance into the screening. The printed passes must be exchanged for actual seating tickets at the theater’s box office. To ensure that the theater fills, more passes are given out than the theater can accommodate. The screening will sell out, so be sure to arrive extra early (usually by 4PM) to get your tickets. Contact the box office for specific exchange times. 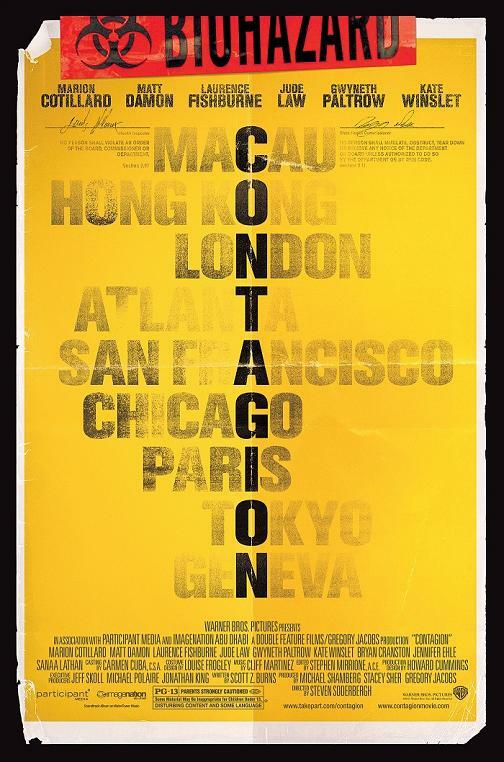 Because this is an advance screening of Contagion, for security purposes, no cell phones will be allowed in the theater. Be sure to leave your electronic devices in your car or at home, because they will not be allowed inside. Thanks for getting your passes from The Reel Place and we look forward to seeing you at the movies!